Slovak national passenger operator Železničná spoločnosť Slovensko (ZSSK) invests in upgrading its fleet. The company has already ordered 25 electric multiple units for 160 million Euros and 21 diesel trainsets for 71 million Euros. The first six diesel trainsets will be supplied this year, the others are scheduled for the next year. Several other deliveries of new or modernised rolling stock are planned for 2020-2022. Almost all the trains are home-produced. The diesel multiple units of type 861 (ZSSK Class 861) are constructed by Slovak manufacturer ŽOS Vrútky. In March 2017, ZSSK ordered 7 units with a seating capacity for 160 passengers and 14 units with a seating capacity for 110 passengers. 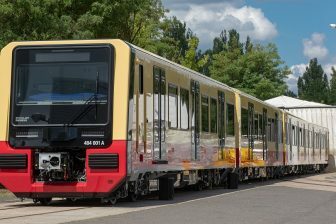 “These vehicles are under construction; the first two units will arrive in May, by the year’s end there will be six units”, the CEO of ZSSK Filip Hlubocký said to the Hospodárske noviny. ŽOS Vrútky should accomplish the entire supply by the end of 2020. The new diesel units will serve two routes in Banská Bystrica region: from Zvolen to both Banská Bystrica and Fiľakovo. Currently, ZSSK’s fleet includes 32 sets of type 861, they were produced in 2011-2015. These trains run on the several regional routes across the country, mostly in the eastern part. 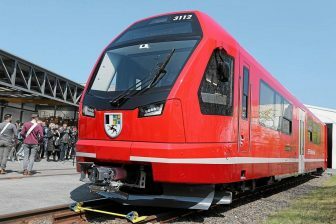 The ordered electric trainsets will be also be produced in Slovakia. They will be delivered by a consortium of Czech manufacturer Škoda Transportation and its Slovak partner ŽOS Trnava. In March 2018, ZSSK ordered 13 three-car trainsets for 247 seats and 12 four-car trainsets for 343 seats. The Slovak operator will receive 25 new units of the RegioPanter family widely used by České dráhy. The new trains will serve four routes in Žilina region: from Žilina to Trenčín, Zwardoń (via Čadca), Liptovský Mikuláš and between Horní Lideč and Púchov. ZSSK also plans to upgrade its rolling stock for long-distance and international connections. 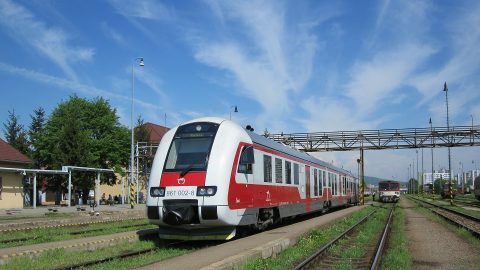 ŽOS Vrútky will produce 35 new passenger coaches while ŽOS Trnava will refurbish 50 cars. The first deal costs around 65.5 million Euros and the other is valued at circa 37.5 million Euros. This year, ZSSK will receive 12 new and 15 refurbished coaches. Both contracts should be completed by the end of 2021. Moreover, ZSSK has modernised 31 passenger coaches at its own facilities during the second half of 2018. The company invested more than 3 million Euros in this project. The only exception is the order for the rack railway service in the High Tatras. In October 2018, ZSSK ordered five rack-and-pinion/adhesion traction GTW-type multiple units and a multifunctional rack-and-pinion/adhesion traction locomotive. 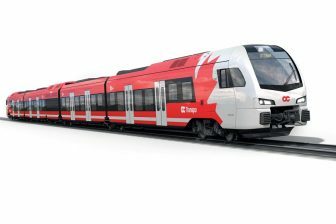 The vehicles will be supplied by Swiss manufacturer Stadler in 2022.